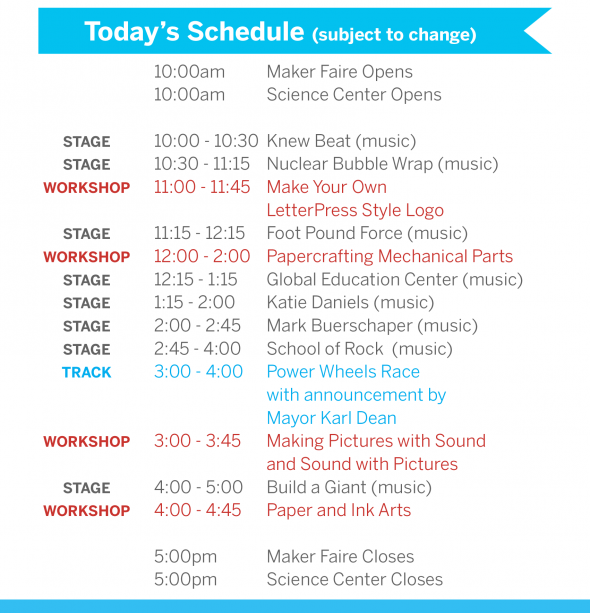 The Nashville Mini Maker Faire is Saturday, September 13th from 10 a.m. to 5 p.m. at the Adventure Science Center. 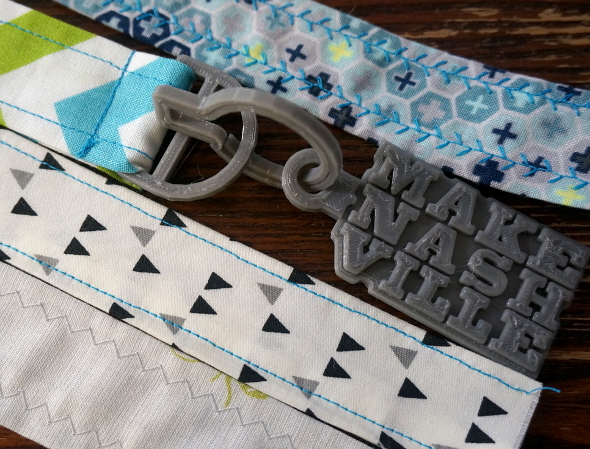 I’ll be there at the Make Nashville booth, showing off my Printrbot Simple 3D printer and lots of printed goodies, including the Make Nashville keychain bracelet pictured above. The bracelet is a joint project of Erica Ciccarone and myself. She did the sewing, I did the 3d design and printing. We’ll give them out while supplies last. The FREE class is from 12 to 2 p.m. in the workshop tent. It’s for ages 5 and up (with a parent to help with the cutting and glueing). Circuit Benders’ Ball alumn Mike Hester will be conducting a presentation in workshop tent from 3 to 3:45 pm on turning image files into sound and sound files into images. It’s really fascinating stuff, and you shouldn’t miss it. And that’s just the tip of the iceberg. Expect lots of creative making, including a hot-rodded Power Wheels race, the ever-growing Full Scale Millenium Falcon project, robot battles, screenprinting, electronics projects, and much, much more. See you tomorrow!